On October 29th 1929, the US Stock Market crashed and before anyone could take effective action, the country had reached its melting point. 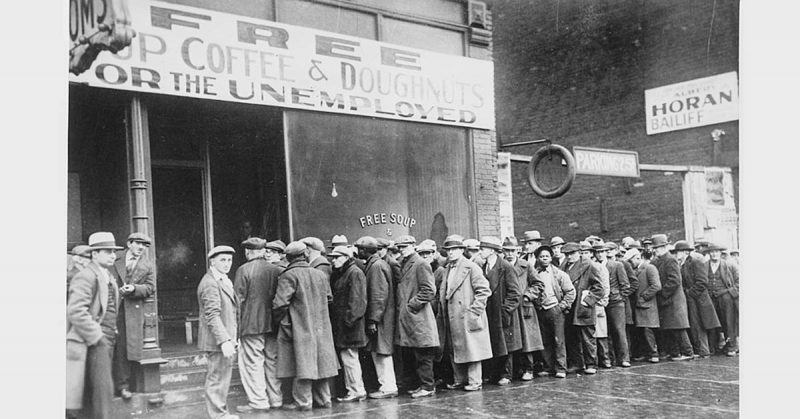 The US was heading into what would eventually become known as the Great Depression. A several successive event across the globe set off a chain reaction, impacting numerous countries around the world, as well as America. The authorities didn’t know what to do in the face of such a catastrophe of this scale. Many subsequent years were spent dealing with the fallout from this chaotic fiasco, with millions suffering due to its far-reaching effects. With that being said, it was also the longest & most widespread economic decline of the entire 20th century and truly showed the extent and speed to which an economy could decline. Before the world entered into an economic decline, the performance of the stock market was well above par, and the industrial output more profitable than it had ever been. This situation was quite evident during the 1920’s – was also known as “The Roaring 20’s” – in the US. At this time the US was overdependent on its production industries, including automobiles and ship building docks. Income inequality was increasing, and during this decade more than 60% of the population were living below the poverty line. Just 5% of the wealthiest classes received 33% of the nation’s income. This false sense of prosperity led to flooding of products in the markets that weren’t affordable to the masses, setting off a chain reaction that started with the closing of factories and sudden withdrawal of investments. The middle class tried to save its money by reducing spending. When spending was reduced, even more goods on the market went unsold. With profits falling, work forces had to be cut, increasing poverty and fueling a negative economic cycle. Europe hadn’t exactly come to terms to the effects of World War I. There were horrible consequences of the Great War; the surviving population had lost their jobs and there was no way the Government could provide unlimited catalysts for reconstruction. 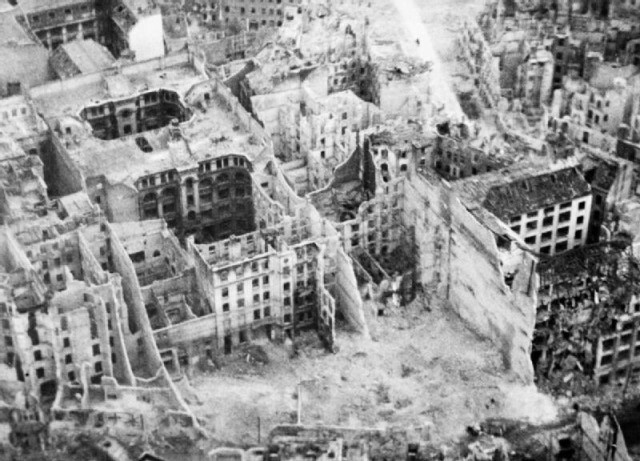 The heart of Berlin in ruins. The US was the prime exporter at the time and was supplying Europe with almost all commodities, basic and advanced. The European Governments that had taken loans from American banks couldn’t pay them back and one after the other started defaulting on them. The American banks had no option but to stop giving out loans. This brought Europe’s purchasing power even further down, setting the scene for the Great Depression. 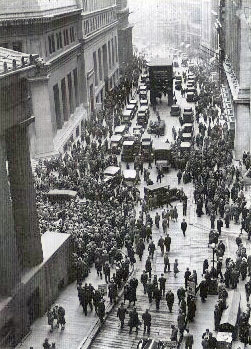 The Roaring Twenties gave almost all US bankers and investors a false sense of pride, especially those dealing in stocks. The price of stocks had begun to decline since September and on October 18th they were in free-fall. Panic set in and almost all investors wanted real money in their hands. On October 24th over 12 million shares were traded! The panic was mounted and investment companies rushed in to stabilize the situation. However, it was too late. On the coming Monday, the market was in complete free-fall. The stock prices had collapsed. Successful recovery after October 29th forced the stock prices up but it was too late. Investors had lost confidence in the stock exchange and globally prices were dropping. 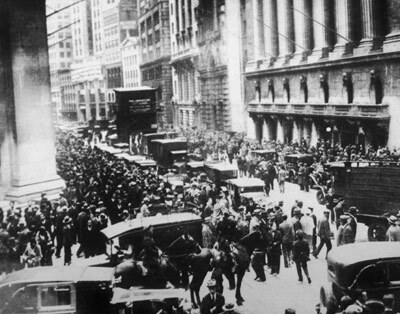 The US was now slumping into economic collapse and by 1932 the stocks were worth only 20 percent of their 1929 value! By 1933 the domino effect forced the banking system to fail. On top of this, people were migrating from farms to cities in search of jobs. All this was too hard on the economic structure in place and now, more than 15 million people were unemployed. Severe drought hit the US and Canadian prairies during the 1930’s, which also fueled the Great Depression. US agricultural output was heavily affected by this drought and failure to apply dry-land farming methods forced the US market to look for other sources. At the same time, the farmers in the effected region had no idea what to make of their predicament. The situation worsened to such a level that that majority of the population of the Great Plains couldn’t pay their taxes. These taxes, even though they made up only a nominal part of the Government’s Revenue, accounted for too much when the drought hit in three successive waves. 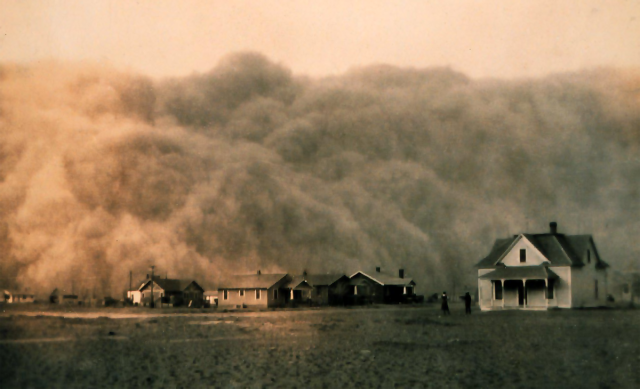 The nickname “Dust Bowl” has been given to the damaged ecology and landscape. The situation was only getting worse, and the Smoot-Hawley Tariff Act didn’t help. Introduced on March 13th, 1930 initially with the intention of protecting American companies, the maneuver quickly backfired on the US itself. When it was obvious that a steep economic decline was coming, the US government hurriedly started introducing measures that could slow down its arrival. One such measure was this Smoot-Hawley Tariff which put on a special tax over 20,000 types of imported goods. This was done so that American companies wouldn’t lose to competition to foreign companies but the nature of the tax was such that it forced several companies to stop exporting goods to the US. This move came in the form of a double edge sword as it reduced production & revenue of all such companies. Workforce had to be laid off, fueling the economic crisis in their parent country. There are whole books, theories and papers on the subject as to why the world plunged into Great Depression. All we can hope for is better economic structures and mechanism to catch such situations before the water’s over the bridge!